• Top bound, 80 leaves. • Numbered 1 up to each opening. 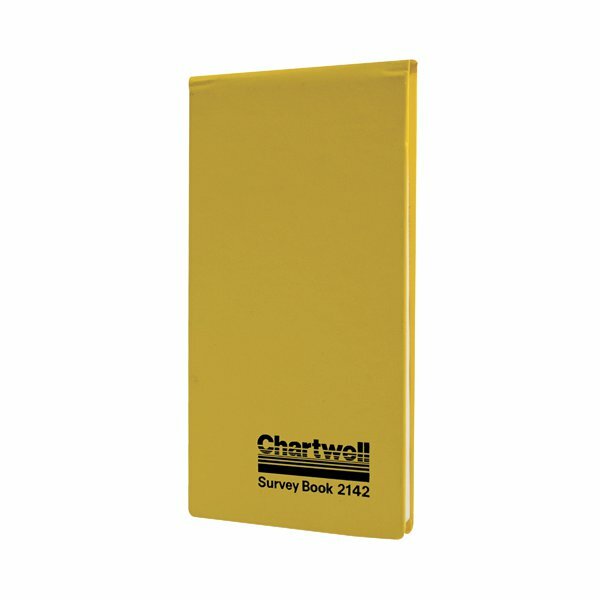 This Chartwell Survey Book has been designed for use in the most adverse weather or site conditions. The paper has been made using the highest cotton content to prevent tearing when wet, ensuring the pages retain their integrity when coming in to contact with liquids. 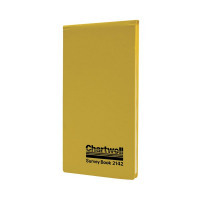 The wet strength paper is developed to the highest specifications and is sewn in section using durable nylon binding to withstanding the most demanding of environments. The cover folds out flat to create a level writing surface for use on the go while at sites or to sit flat on a desk.